THE SENACKI HOTEL is a perfect place to stay in Krakow. The hotel itself was established in 2002, but the building dates back to the 13th century. Located in the heart of this charming city, the hotel delights with beauty of its renovated interiors and unique atmosphere. The hotel owes its sublimated and exclusive style to its classical form, window architectural decorations and floral wall motifs. It is one of those hotels that “you will remember forever, even if only one night was yours”. Entering the hotel is like entering a place where time stopped in the 13th century. Once you check in, you will feel the city’s atmosphere. In the morning, look how this historical city gets up and feel a part of it, even if only for a moment. The facility offers 20 cosy rooms that have their own special charm. Most of them overlook historical Grodzka St.
Osti-Hotele Zbigniew Ostachowski is a family company running two hotels in Krakow: the Kossak Hotel and the Senacki Hotel. A perfect hotel ensuring its guests perfect atmosphere and comfort can only be achieved when it is born out of dreams. Two generations of the Ostachowski family, which has always been associated with Krakow, decided to make these dreams come true by sharing their fascination for one of the most beautiful European cities with guests. 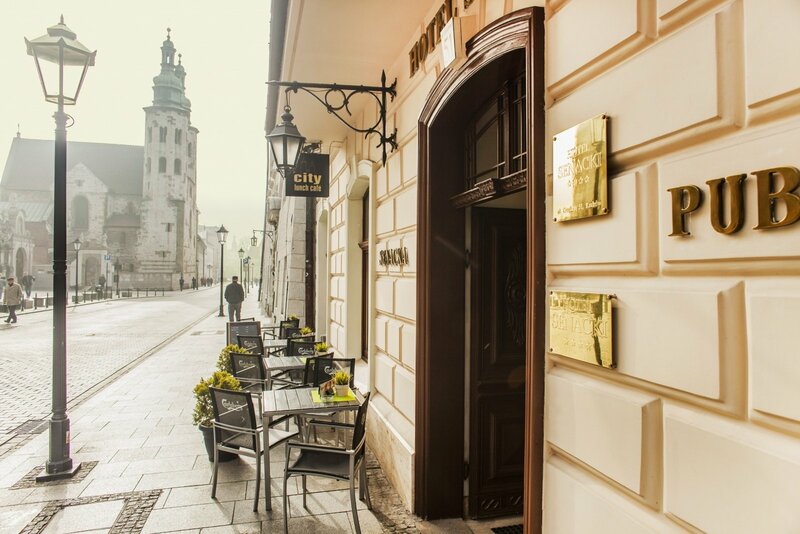 The Ostachowski family has been engaged in hotel management since 2002, when a historical tenement house next to the Royal Road was carefully renovated to house the four-star boutique-style Senacki Hotel. Experience gained over the past years was used in another investment of the company – the four-star Kossak Hotel at 1 Kossaka Square that has been in operation since April 2009.